Here’s the story of the day I forgot how to use the Mesh Tool. 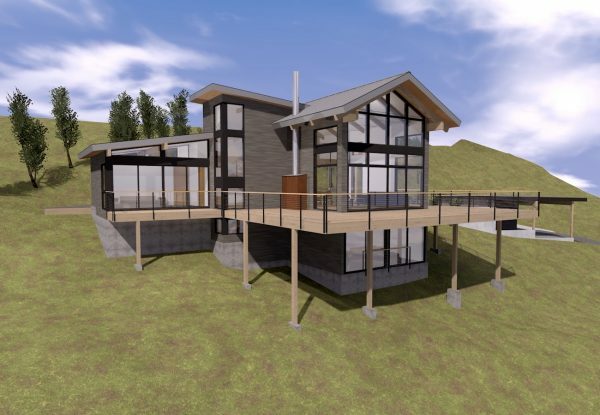 I was making changes to a project, a lake cabin in western Washington done in conjunction with Cary Westerbeck of Westerbeck | Architecture. 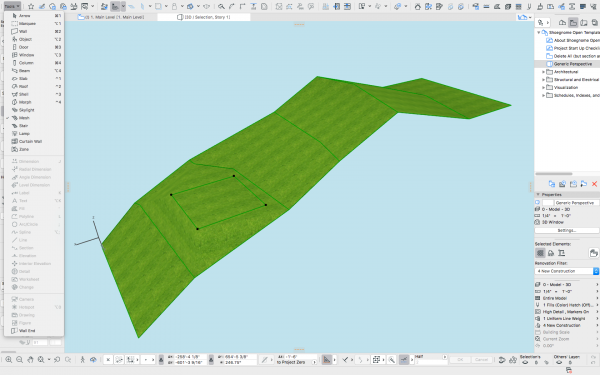 We needed to adjust the existing site Mesh to properly fit with our proposed contours. Easy work I’ve done many, many times. This is the kind of work that makes me so grateful for ARCHICAD and intelligent models. I didn’t need to fix dozens of drawings. I just needed to fix one Mesh and let the changes propagate to all the required views. I told Cary not to worry about it. I’d have it taken care of by lunch time. That did not happen. I spent the morning freaking out because ARCHICAD wasn’t acting properly. Every time I tried to add a contour it wouldn’t work. I could move existing ones, but the Mesh was not listening to me. I thought maybe it was a glitch in ARCHICAD 19 caused by a new update. But I had the same issue in 17 and 18. I asked friends, posted on the ARCHICAD-talk forum, e-mailed tech support. Nothing was working. Then I realized ARCHICAD wasn’t the problem. I was. This was a classic PICNIC error. What exactly happened? Why did I suddenly forget something I first learned ten years earlier and regularly used? There were a lot of things going on that day. It was a Monday and my daughters had the day off from school. So while I was trying to work in my office, my four and six year old daughters were playing in the living room fifteen feet away—working with kids playing so close is always a distraction. I was also tired, so that didn’t help. But neither of those are great excuses. I’ve worked from a home office for over four years and I haven’t been not tired in over seven years (thanks parenthood). I could also blame the infrequency of using this method. While I’ve been adding contours to Meshes for over a decade, I probably only work on site models a few days a year. Perhaps that February morning was the first time I’d worked on a site in a year or more—after all a lot of my work is on small, flat urban sites, not rural steep slopes. This excuse is better. And one we must all be aware of. There are aspects of ARCHICAD we forget about. A few years ago I wrote about how We All Have Blind Spots. In that article I talked about how BIM guru Rob Jackson didn’t know about the Element ID Manager. 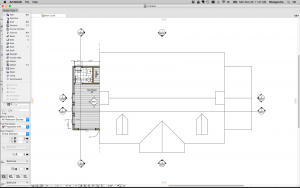 The Element ID Manager is a great way to automate the organization of element IDs in ARCHICAD. It’s a feature in ARCHICAD that is extremely useful but also rarely used—both because it’s lesser known and because auto numbering elements in sequence is not something you need to do everyday. In fact when I wrote that article, and told Rob about the Element ID Manager, it was a feature I’d forgotten about because I hadn’t used it in years. Being able to arrange windows in order automatically from WX01 to WX99 for a five story elderly care facility is a life saver (this is something I did regularly earlier on in my career). Using the same automation for fifteen windows on a small house remodel, less so. But my failure with the Mesh Tool wasn’t about having to relearn a little used feature. There’s a difference between forgetting how to use the Element ID Manager and the Mesh Tool. I know I rarely use the Element ID Manager. So when I remember it exists, I reteach myself how to use the tool each time. I’m conscious of my own reoccurring ignorance. The Mesh Tool though is something that is always around. Even if I’m not altering an existing Mesh or creating a new one, 99.9% of my projects include at least one—my template even has a Mesh in it to start. Forgetting how to use the Mesh wasn’t about an infrequently used Tool. It was about a disruption in how I work. I don’t know when I made changes to a Mesh prior to February 15th, 2016. But I can guarantee that it was before November 25th, 2015. That’s when I published my article on Maximized Work Environments in ARCHICAD. It was at that time that I made the radical move to get rid of the Toolbox and replace it with a dropdown menu. (Side Note: here’s how to create your own Tools drop down menu, after you read this article and learn the lesson I did, throw the Toolbox in the trash ). What does getting rid of the Toolbox have to do with forgetting how to use the Mesh Tool? Space+Click on Polyline to add nodes. I learned those steps in 2006 and they became unconscious. I didn’t need to think about the task. I relied on muscle memory and the motions became invisible. But then in late 2015, I removed the Toolbox and Step 2 became inaccessible. I didn’t notice. I did what I always did and there was no signal to tell me it wouldn’t work as always. I did steps one and three, not realizing I was skipping step two. 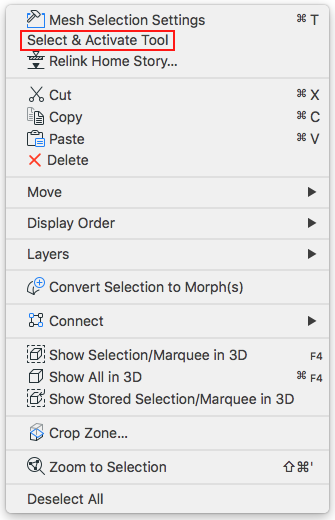 After much gnashing of teeth, I figured this out and learned that instead of selecting the Mesh Tool in the Toolbox, I could also right-click and choose Select and Activate Tool from the Context Menu. It’s the equivalent of clicking on a button in the Toolbox with an element selected and has been in the Context Menu for years (though I never paid attention to it). Using the context menu rather than the Toolbox turns out to be a better solution. It doesn’t rely on a transient button. 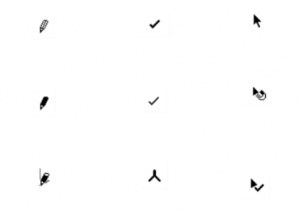 It is accessible from the same spot where you select the element (thus less hand/mouse movement). It is also much clearer. I know why I’m selecting that option. I’m ‘selecting and activating the Tool’. In the old days when I was clicking on the Mesh Tool, I knew I needed to do that, but didn’t understand the real reason. Now I understand the Mesh Tool better. And actually all Tools because I have better knowledge of the Context Menu. Even one click can be the difference between success and failure. I’m going to talk about that more in the next post. Everyone can get caught by skipping a simple step in ARCHICAD. If things aren’t working like they should, ask for help, and don’t hide your mistakes. We all make them. When you learn something in ARCHICAD, make sure you understand how that feature works. Whenever you can, go a step deeper than just getting the thing you want and moving on. Understand not just how to do the task but why it works. Had I known that clicking on a tool icon in the Toolbox was selecting and activating the Tool, I wouldn’t have been tricked. And yes I know when we all read that, it’s obvious that clicking on a tool icon is selecting and activating the Tool…but is it really when we’re so focused on our work and not our software? The developers of ARCHICAD know what they are doing. I often say there’s always a number of ways to do a given task in ARCHICAD. I don’t know if the developers ever thought that people would get rid of the Toolbox to save screen space. But because of the way they laid out the Context Menu, they set up users who do get rid of the Toolbox for success. Well at least after they ask for help and learn what’s going on. Are you following Graphisoft North America on Twitter? 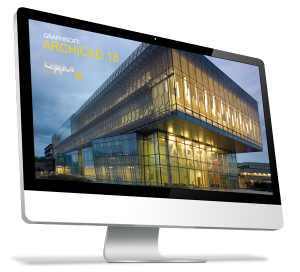 Click Here to keep track of all the latest ArchiCAD News in North America (and beyond). By the way, if you want a little more on the project that caused this lesson, or really my thoughts on sun studies, check out this article I wrote. Hi Jared. I’m travelling right now and cannot check this; couldn’t you do step 2 by using the ALT key method and click the mesh to activate the mesh-tool? I use the alt-click to select the right tool alot. Dominicus, you are absolutely right! You could replace my Step 2 with ALT+Click to activate the Mesh Tool. Interesting that there are at least three solutions to this. Conceptually I prefer the Context Menu because it’s one less keyboard button, the Context Menu is more clear as to what’s happening, and also ALT+Click to me is so ingrained as part of Parameter Transfer that using it for this too seems like a user error trap. Also Alt+Click adds another affect: it changes the settings of the Mesh Tool, as it’s absorbing the properties of the placed Mesh into the Tool Settings. So that could have unintended consequences because ALT+Click is doing more than just selecting and activating the Tool. There is a nice elegance to clicking the Mesh, then Alt+Clicking the Mesh, then Space+Clicking the Polyline. I use Alt+Click all the time. You know that you are activating the tool and changing the properties because the cursor changes to the eyedropper icon. You could also use Favourites to reset the Tool. Alt+Click is indispensable, but for this situation I don’t think it’s the best answer. Also for resetting Tools, a BIM Manager friend of mine set up default favorites for every Tool so that a user can always get back to generic settings free of clutter. Don’t know about MAC, but in Windows I’ve been using the context menu option for a very long time but without clicking, but using the underscored letter. I can select a mesh, right click and hit “S”. I don’t even have to look. It works wonders with other options as well, like the layers submenu. I can lock an element’s layer by selecting it, right clicking and hitting “LL”, or “LU” to unlock; or “LH” to hide the layer. Interesting. That sort of works on a Mac. Once the Context Menu is open, typing will search within the list. So S will jump to the first word that starts with an S. You still have to hit spacebar (if the mouse is over the option) or enter to activate the selection. It might be more fluid on a PC. Are you also hitting enter or space after you hit S or LL…?